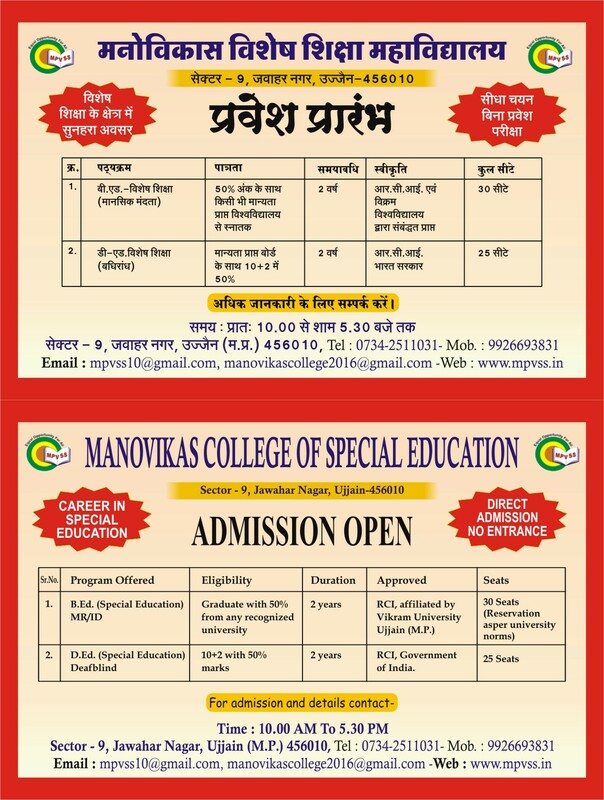 Manovikas College of Special Education was established on 1st July 2015 The Mission the organization is to provide proper education to children with special needs hence MPVSS took the step to train and built the eligible, dedicated faculty and provide equal opportunities to the disables and built them healthy environment . Initially, it was started with first batch of 14 Students scored 80 percentages in the first Semester. With the existing courses, this year Manovikas College got the approval from RCI to start the TTC course on Deafblindness at MPVSS supported by Sense International India. We have well-trained and highly qualified faculty for below Special Education Courses. D.Ed (Special Education ) Deafblindness duration 2 years approved by RCI, Government of India. Time to time College organizes Curricular, co-curricular activities Educational Trips, Practical training classes and awareness programs for the students to provide better learning and to develop their skills in the field of Special Education.